The one pillow that is allowed in the baby`s bed. Helps to preserve the natural shape of your baby`s head ad also keeps your baby in an ideal sleeping position. Anyone who looks carefully can see that most babies' heads become, to a greater or lesser extent, deformed. In at least one out of four babies the problem is clearly noticeable. In normal cases the deformities disapear in the baby's first year due to the "growth pressure" of the brain. Yet often the deformities are simply accepted for the better protection of the baby, and seen as merely "the lesser of two evils". Happily the new THERALINEr Baby Pillow now offers your baby both comfort and safety during sleep and, combined with this, it helps to preserve the natural head shape. 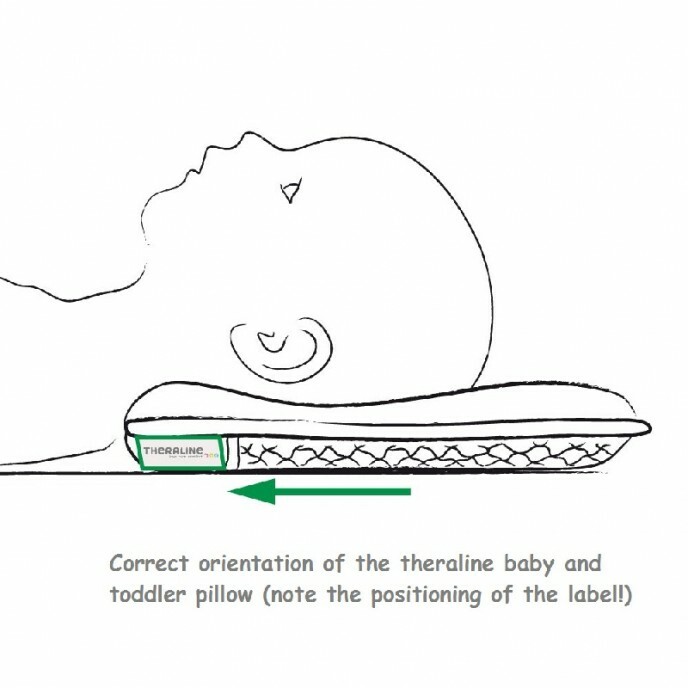 The THERALINEr Baby Pillow avoids deformities brought about by sleeping position equally as well as a cosy feather pillow would do, but without the associated risks. Why does the back of my baby's head become flattened or disformed? With good reason, midwives and doctors recommend you to lay your baby on his/her back to sleep. Thanks to this recommendation the cot death rate in all western european countries has dropped noticeably. Unfortunately, though, the bones of the skull are so soft during the first months of life, that with long periods lying down there is often a clearly visible flattening and/or misshaping of the head. Often a bald patch also appears on the back of the head. 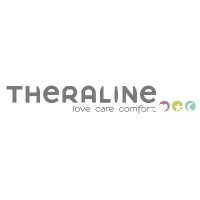 How does the THERALINEr Baby Pillow work? A simple idea and a unique design ensure safety and comfort for your baby when sleeping and lying. 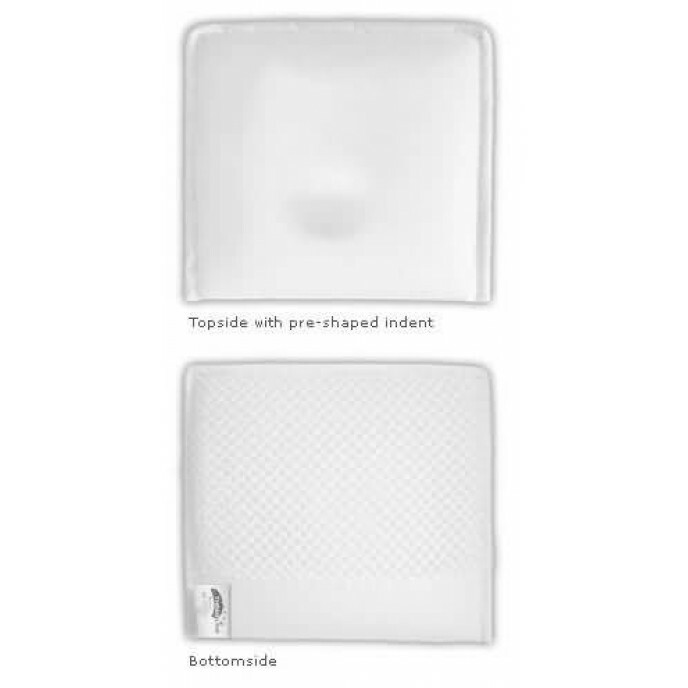 Anatomically shaped and perforated high-tech fabric supports your baby's little head evenly and effectively. As a general rule, no head deformities appear at all. 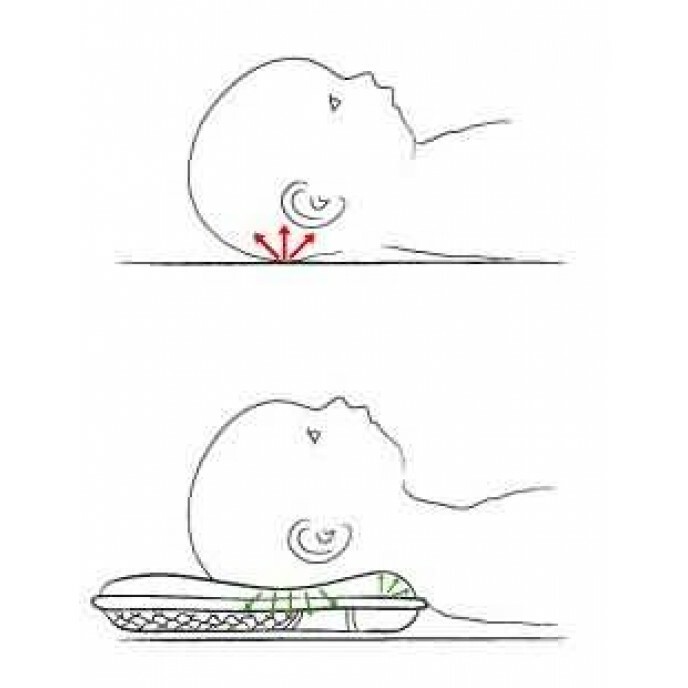 For babies already affected by deformities the THERALINEr Baby Pillow can help with the faster correction of the deformity. 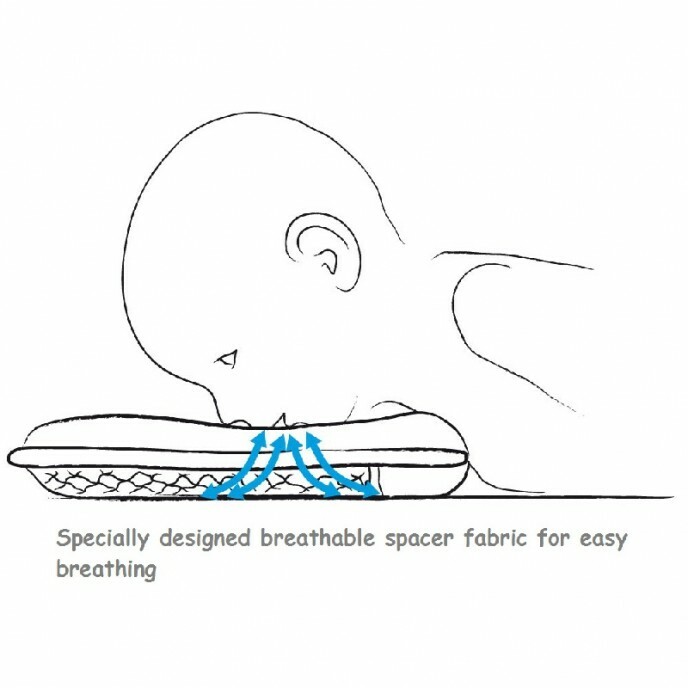 And thanks to the special fabric, it does so safely for your baby. 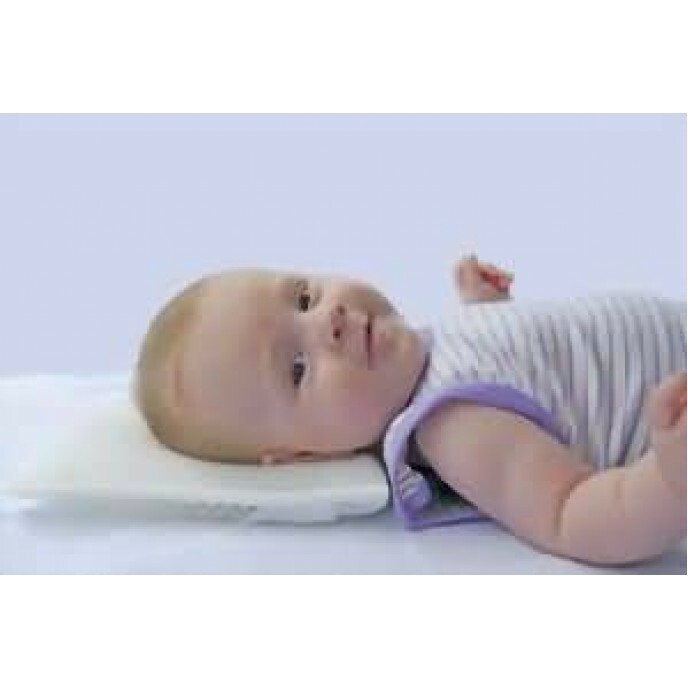 With a special arrangement of three different types of breathable fabric, the THERALINEr Baby Pillow helps to maintain an even temperature around the baby's head. 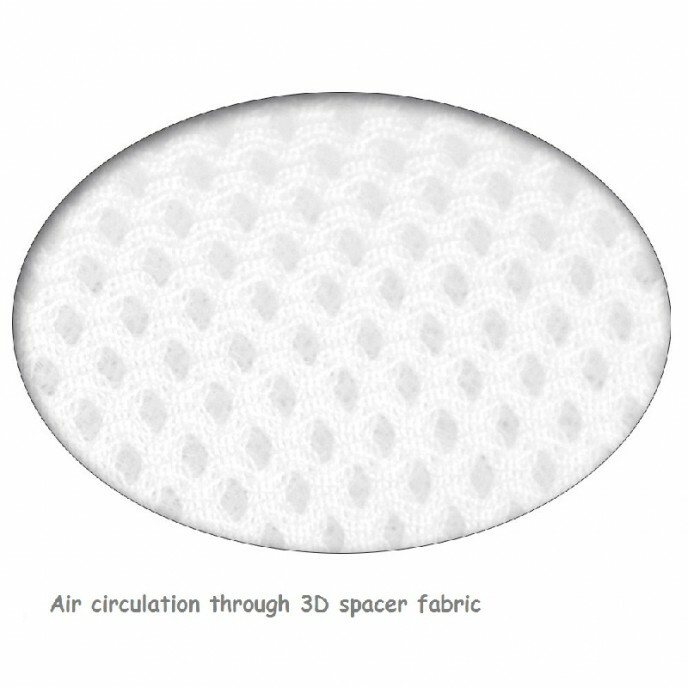 The high-tech fabric we use is so open that, even when your baby begins to turn and the head comes to rest in the pillow`s hollow, he or she can still breathe easily through. * Of course your baby can still move his/her head completely freely despite the pre-shaped hollow, so that development, the urge to move and natural curiosity are not stifled. The American Academy of Pediatrics recommends ,Back to Sleep, Tummy to Play". If your baby tends to look in the most typical direction when in bed, i. e. towards the door or the window, then move the bed more often, so that the other side of the head takes the weight. 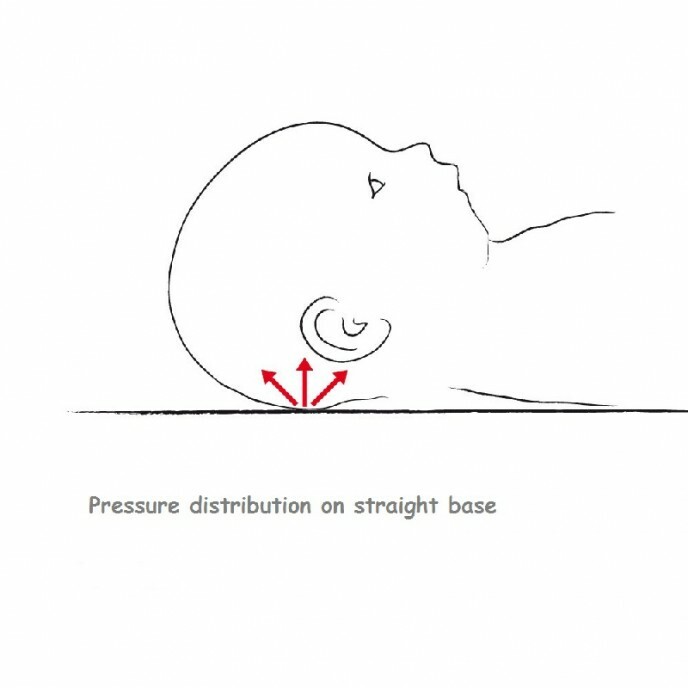 Once your baby has fallen asleep, his/her head should be turned again onto the non-deformed side. 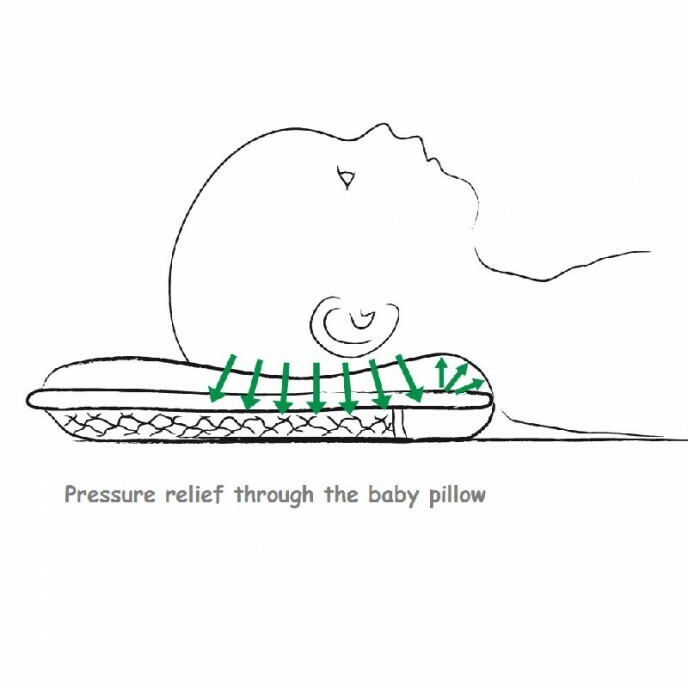 The THERALINEr Baby Pillow should be used as often as possible to achieve the best possible distribution of pressure on the baby's head. The one pillow that is allowed in the baby`s bed. Helps to preserve the natural shape of your baby`s head ad also keeps your baby in an ideal sleepin..
Baby Elegance Healthguard Baby Pillow is designed using world famous anti-allergy, anti-dustmite and anti-bacterial Healthguard fibre. 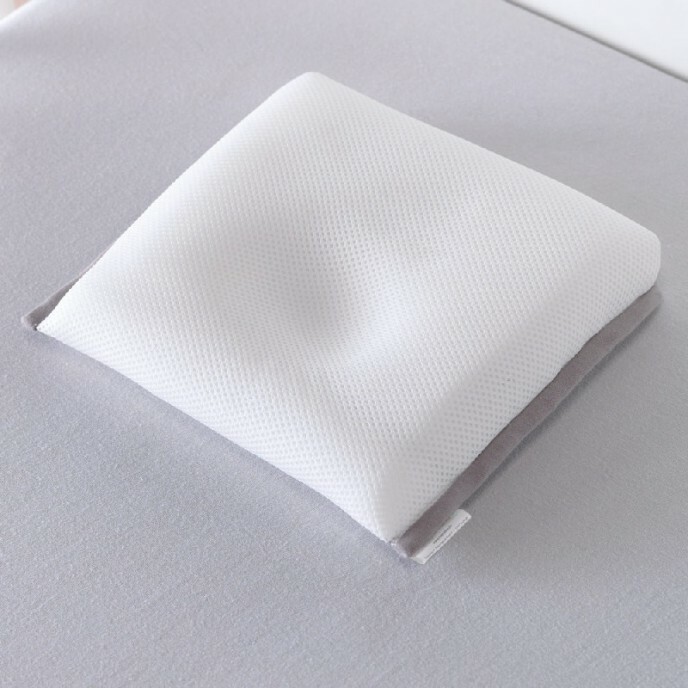 Our baby pillow..
Pipsy Koala's soft reflux pillow is designed to be used from birth.Helps your baby breathe easier and rest more comfortably after eating.This pillow h..